Nearly one kilometer above sea level, and one hour's drive West of the midpoint between Edmonton and Calgary, sits Rocky Mountain House. As its name suggests, the picturesque town sits in the foothills of Alberta's Rockies, on the shores of the North Saskatchewan River. 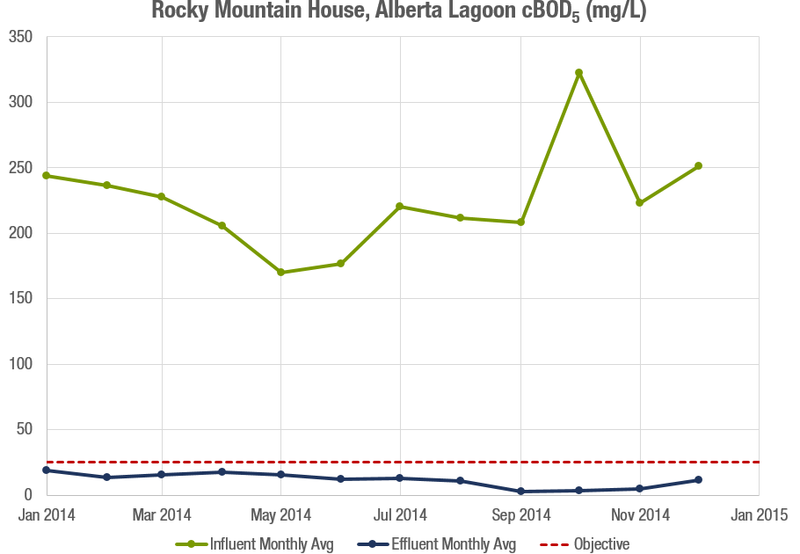 With its lagoons located in town, the town had explored the option of moving its wastewater treatment further away; however, when that became a longer-term consideration, Rocky Mountain House found itself in need of more capacity without running afoul of its limits, all while staying within its existing footprint using the infrastructure already in place. optAER fine-bubble partial mix aeration in existing cells 1, 2, and 3. 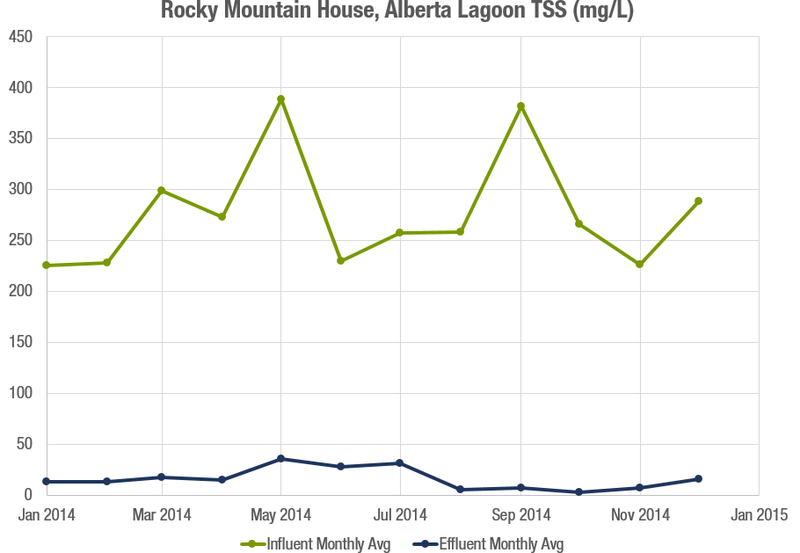 Since the lagoons have been upgraded, average monthly effluent cBOD5 and TSS numbers received from Rocky Mountain House over the course of a full year have been consistently below the targeted level. 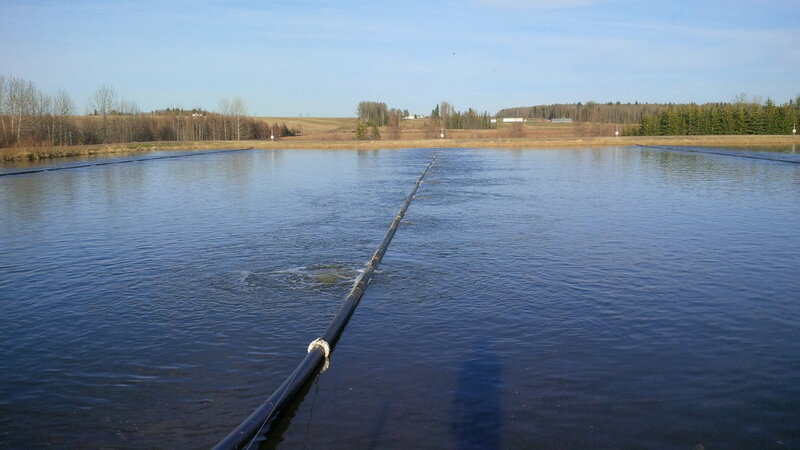 With an upgraded lagoon system that will be able to handle the town's wastewater for the foreseeable future, both from the perspective of capacity and the ability to meet the necessary limits, the pressure to move the wastewater treatment facility out of town is reduced significantly. Rocky Mountain House is free to make long-term plans for 2023 and beyond with the comfort a smoothly-running, low-O&M optAER system provides.